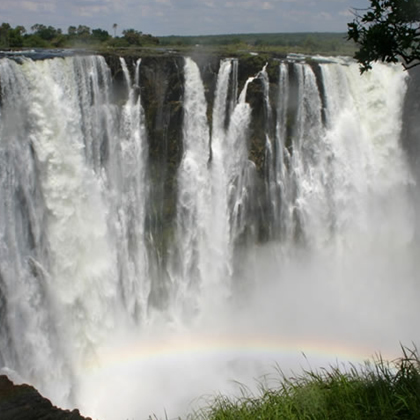 A World Heritage Site, the Victoria Falls are Zimbabwe's prime tourist attraction and the gateway to the country. The Falls themselves vary dramatically with the seasons, but remain spectacular at any time of the year. 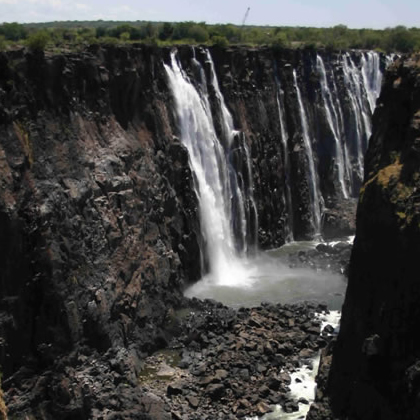 The numerous activities available here have made it Africa's adrenalin capital - from white-water rafting to bungee jumping and helicopter flights, Victoria Falls has something to offer everyone. 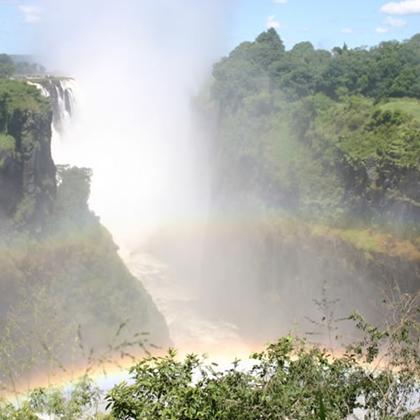 You can also do game drives, river cruises, horse-rides or bush walks, fishing and birdwatching, adrenalin activities and historical tours - Victoria Falls has it all, making it the perfect location to start or end your African adventure. Above the Victoria Falls the Zambezi River offers sunset cruises, fishing, birdwatching and game viewing opportunities along the Zambezi National Park. Below the Victoria Falls the Zambezi River, as it twists and turns its way through the Batoka Gorge, is home to gorge swings, bungee jumps and some of the wildest white water rafting in the world. 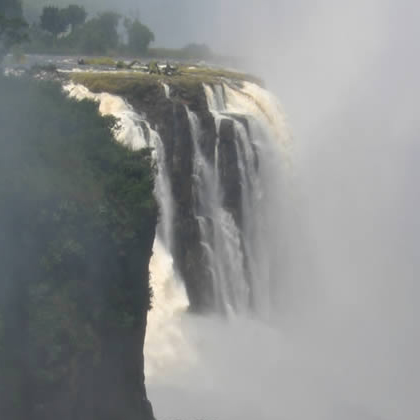 From 1855 when David Livingstone first told the outside world of the Victoria Falls, millions of visitors from every corner of the earth have be drawn to Zimbabwe to view one of the widely claimed 'Seven Natural Wonders of the World'. 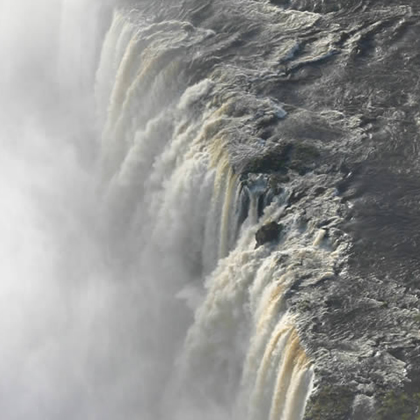 A spectacular 1708 meters wide with an average depth of 92 meters the Victoria Falls forms the largest single curtain of falling water on earth. 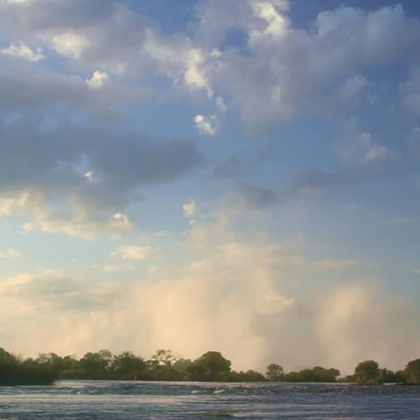 The volume of water carried by the Zambezi River varies greatly during the year, and depends on the seasonal rains in the Upper Zambezi catchment, which occur from late November until March. The water is at its highest from about the middle of March until about the middle of May, and during this period the huge volume of spray from the Falls can all but obscure them from immediate view. Towards the end of September the river levels starts getting really low, with the Victoria Falls exposed within the rocky gorge, until the end of November when the local rains start filling up the river again. We can also help you book day trips and overnight bush camps exploring Chobe National Park, Botswana as part of your African Adventure. 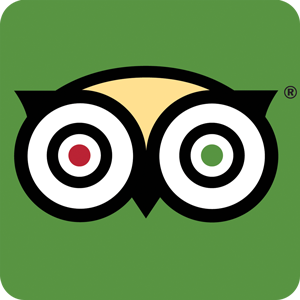 We can help you with your accommodation and activity booking in Victoria Falls, helping you get the best deals. Contact us for help and advice.